HONOLULU – Gov. David Y. Ige has appointed Robert K. Masuda as First Deputy Director of the Department of Land and Natural Resources (DLNR) effective August 4, 2017. In his new role, Masuda will help manage, develop, oversee and implement initiatives, programs, and policies for DLNR’s eleven divisions, including DLNR’s implementation of Gov. Ige’s Sustainable Hawaiʻi Initiative. Masuda previously served as DLNR First Deputy Director from May 2005-May 2007. He led DLNR’s efforts during two critical natural disasters and was the department’s representative for numerous interagency working groups. 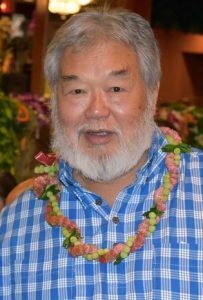 Masuda has more than 55 years of experience as an executive leader including top roles with the YMCA and the City and County of Honolulu. Since 2007 Masuda has served as Senior Advisory for Special Programs Development at the USDA’s U.S. Forest Service’ Institute for Pacific Islands Forestry. In this role he advised, consulted and assisted management and scientists with a variety of programs and projects related to inter-agency cooperation on multiple government levels. Mr. Masuda holds a B.S. in Applied Behavioral Science & Group Work Education from George Williams College, and an Executive M.B.A. from the University of Hawai‘i. Masuda’s appointment is subject to Senate confirmation during the next legislative session.